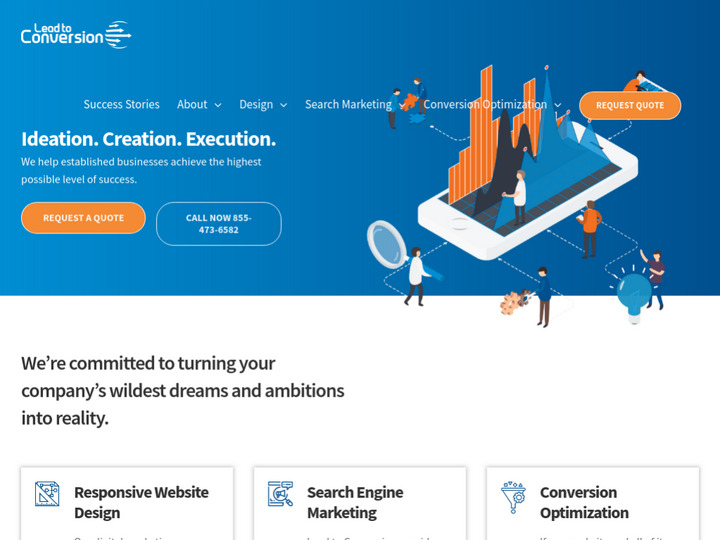 At Lead to Conversion, we specialize in helping companies of all sizes get more leads and sales through effective web design and online marketing. Lead to Conversion specializes in Brand Development, Responsive Website Design, Search Engine Optimization, PPC Management, Social Media Marketing, Email Marketing, Video, & Conversion Rate Optimization. We take pride in providing our customers with the highest level of personalized attention, care and commitment, with superior results and tailor-made plans designed exclusively for you, your business and your brand. Whether you’re looking to improve your rankings in the search engines or need a web site that responds to mobile devices and converts visitors … whether you’re launching a new small business or looking to grow and overcome the competition at the Enterprise level, Lead to Conversion is your source for customized and innovative online marketing strategy and execution. Goal: Increased lead generation through a mobile-friendly site, social media strategy, and SEO with a localized focus. Client came to LTC needing a new site, social media presence, and overall improved digital lead generation. While their existing site was functional, they were missing the desired usability, tone, and "wow factor" that would attract an audience seeking information about qualified retirement communities. In addition, growing competition in the marketplace for local retirement communities was keeping them from gaining a solid foothold for non-branded organic search placement. Our first step was to interview the client&apos;s team extensively about its brand and to learn what sets them apart from other retirement communities in their market. Second, set out to create a site and user experience devoted to communicating their story to every possible generation: potential residents, as well as all those involved in the decision, such as children and possibly grandchildren. One of the key features of the new site is the "Virtual Tour," which lets prospective residents and their families really get to know the facility and its features, regardless of what device they&apos;re using to view it. This leads to an immediate familiarity with the facility when they first visit the facility in person. 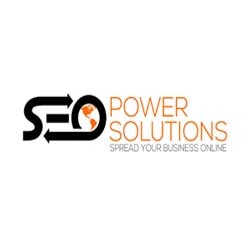 The client has since renewed our SEO and Social Media Marketing services for another year and has also added Email Marketing and Pay Per Click Marketing to the mix to fully maximize their exposure online.